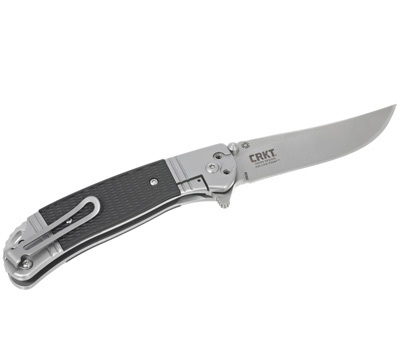 The Hollow-Point™ knife is designed by Ken Onion for the exclusive Ruger® knife line by CRKT®. 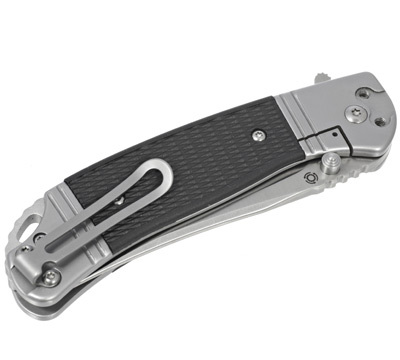 This knife design combines the IKBS ball bearing pivot system for efficient opening with retro-styling and modern knife feature such as a frame lock mechanism, molded plastic scales, two-position pocket clip, lanyard hole and blade flipper. 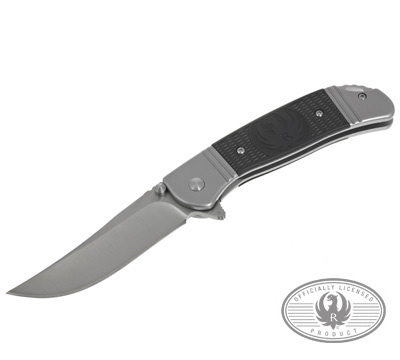 This uniquely retro-styled knife is ideal for hunting treks and great for every day carry in the pack or pocket. 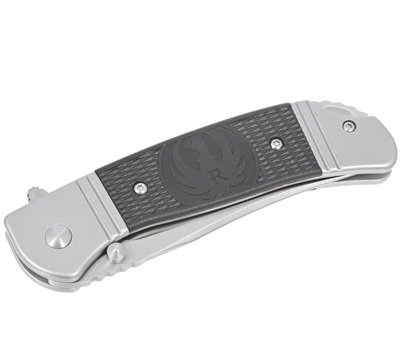 Features: Length - 3.17" (80.15 mm); Edge - Plain; Steel- 8Cr13MoV, 58-59 HRC; Finish- Satin; Thickness: 0.128" (3.25 mm); Closed- 4.25" (107.95 mm); Open - 7.50" (190.5 mm); Weight - 4.40 oz (125 gm); Handle - stainless steel w/inserts; style - Folding knife with frame lock; two-position pocket clip.